If you are looking for a special pound cake to prepare for a special gathering, consider this almond pound cake! It is both dense and light, as all pound cakes should be; it’s rich with the aroma of almonds from the almond paste in the batter, and speckled with orange zest throughout. We’ve included a simple orange glaze, though this almond pound cake stands perfectly well enough on its own without it. Whether you take your first slice thick or thin, enjoy this almond pound cake elegant and unadorned, or top it with berries and whipped cream for an impromptu shortcake. If you are feeling especially adventurous, drizzle it with some amaretto for even more heady almond flavor. Whenever baking with eggs, you'll get more rise if you start with eggs that are at room temperature. If you want to quickly bring chilled eggs up to room temp, place them in a bowl of warm (not hot) water for 10 minutes. Tip on using Odense almond paste—grate it using the large holes of a box grater. This recipe makes enough batter for one 5x9x3 inch loaf pan, which is a rather large loaf pan. If you have a 4x8x2 1/2 inch loaf pan, either make two loaves, or cut the recipe in half. 1 Preheat oven, prepare loaf pan: Preheat oven to 325°F. Grease the inside of a 5x9x3-inch loaf pan with butter or with non-stick spray. 2 Beat almond paste, add sugar, butter, eggs, zest, vanilla, yogurt: Using a stand mixer, beat the almond paste, starting at a low speed. Slowly add the sugar to the almond paste while beating, gradually increasing the speed, until incorporated. Add the butter, and beat until fluffy, smooth, and almost white, about 5-6 minutes, on high speed. Add the eggs, one at a time, beating a minute after each addition. Beat in the orange zest, vanilla, and Greek yogurt. 3 Whisk dry ingredients: In a medium bowl, vigorously whisk together the flour, baking powder, and salt. 4 Stir the flour mixture into the butter, almond paste, egg mixture, a third at a time, until well blended. 5 Bake: Pour batter into prepared loaf pan. Place on lower middle rack of your oven. Bake at 325°F for 50-55 minutes, until golden brown, and if you press down lightly on the top it springs back at you, and a tester inserted into the center comes out clean. While it's baking, if you notice it getting too browned, tent it lightly with aluminum foil. 6 Cool on a rack: Remove from oven and let cool on a rack for 5 to 10 minutes. Then carefully remove from the pan to cool completely on a rack. 7 Make orange glaze: While the cake is cooling, make the glaze. Sift the powdered sugar through a sieve to remove any lumps and place in a medium bowl. Whisk in the orange juice and lemon juice. Stir in the the zest. Add more sugar if the glaze is too runny, add more juice if it is too thick for your taste. 8 Drizzle cake with glaze: When the cake has cooled, place it on a serving plate and use a spoon to drizzle the glaze all over it. Hello! All photos and content are copyright protected. Please do not use our photos without prior written permission. If you wish to republish this recipe, please rewrite the recipe in your own unique words and link back to Almond Pound Cake with Orange Glaze on Simply Recipes. Thank you! Have made this many times now but what are we doing wrong? The center is never mounded like the photo it’s flat or slightly concave. When it cools for a few minutes the center falls. We have followed the recipe to the letter and it has only come out once without falling. It was flat not mounded but not sunken in. Just made it again and it was slightly sunken in the center. Tested it and the center was wet. Afraid it will now fall in the center as it cools. We have a new oven and it browned a little too much on top (runs slightly hot) but still wet in the middle. Pan is correct, fresh eggs, new baking powder etc. 5 stars because it tastes amazing, best I’ve ever eaten. Everyone loves the flavor but embarrassing to take to parties when looks like an orange lake in the center. Sometimes I have thrown away the center, it never cooked but ends were perfect. I slice it first now to avoid that. Can someone help? Mary, are you weighing the ingredients or are you measuring using cups? Weight is more precise. It’s also possible you need to bake it a little bit longer, or that your oven is not the right temperature. I just got a new range and I’m convinced mine is off by at least 10 degrees. Try tenting the top with foil for the last 10 minutes or so if you see that it’s browning more than you’d like, but the center still feels too wet when tested with a cake tester or toothpick. Sorry that you keep having issues, but I love that you keep trying! Let us know how it goes! Hi Elise. I made this recipe exactly as directed, but the cake baked way over the top of the pan and spill everywhere. I want to make it again, as the batter was delicious, but can you tell me your thoughts on why I had so much more batter, in spite of using the same measurements? I took the time to read the comments and have figured out the pan size issue. Thank you! Thanks Emma, I’ll be making this cake as soon as home from vacation; the batter tastes so good, I can’t wait to try it in actual cake form! Hi, Ann! Emma here, managing editor. This will freeze just fine! It’s best to freeze it unglazed, but it’s also ok to freeze after you’ve glazed (just make sure the glaze is fully dry). Wrap the loaf tightly in foil, then place in a freezer bag with all the air squeezed out. Freeze for up to three months and thaw on the counter. Enjoy! Made the cake and everyone loved it. I made few substitutions, used plain yogurt instead of sour cream or greek yogurt as none were available where I live. I used about one cup of sugar instead of 1.5 cup as my mom is diabetic and wanted her to enjoy it too :) Then for glaze, being too lazy, I simply took our homemade orange marmalade, diluted it with fresh orange juice and added a teaspoon of lemon juice. Everything combined tasted lovely. I made a smaller cake and made 6 small cupcakes by baking them for 22 minutes. Hello Dr. Sabeen, you are very welcome! I’m so glad you liked the cake and it still worked well for you with those substitutions. Maybe we need to discuss loaf pan measurements as my batter volume was way too much for the pan recommended. My loaf pan measures 5×9 inches on the outer lip but I’ve always regarded a standard bread pan as 7.5×3.5×2.5 inches. Subsequently, it dripped out all over the oven floor. How does one measure a loaf pan? Thank you, Beth! I thought I was losing it. What did I do wrong?? For the standard bread loaf pan (size that I mentioned above), this is a perfect recipe for two cakes. While the first dripped out all over the oven floor and required an extra 20 min. baking time, it was superb. I just did the same recipe in two pans and all went well. Yes, a winner of a cake but divide your batter x2. No other modifications needed. Hi Paul, excellent point! 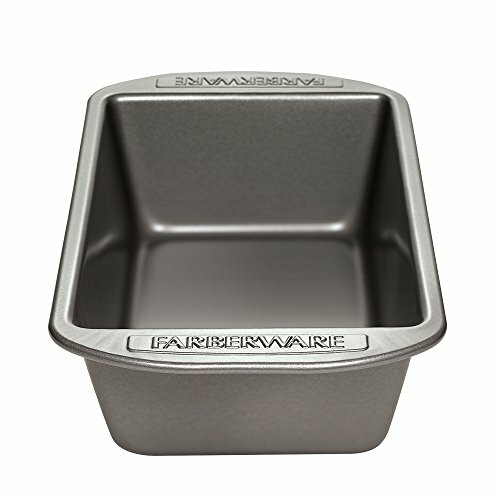 I found a great discussion on baking pan sizes here on the Joy of Baking website: http://www.joyofbaking.com/PanSizes.html. An 8x4x2 1/2 pan has about a 4 cup capacity, while a 9x5x3 inch pan has an 8 cup capacity, double! I used a 9x5x3 pan for this recipe and had plenty of room. You take the measurement from the inside, not the outside, of the pan. By the way, thank you for bringing this to my attention, I’ve made clarifications in the recipe. Hi Mona, in general you can’t easily sub marzipan with almond paste. That said, you could always try it and see how it works out for you. I have made this cake twice. Both times I have a fallen center. I baked it a bit longer because it was soft in the middle. It tastes fabulous . I followed the recipe exactly with no substitutions and active baking powder. I bake a lot. Where am I going wrong? Hi Betty, I don’t why this is happening. I checked this article: http://www.southernliving.com/food/how-to/tips-for-baking-a-perfect-pound-cake and they say too much leavening or sugar can make the cake fall. Perhaps your eggs are much larger than mine? Thank you for always making these recipes so easy to PRINT! Other sites are ridiculous, you have to come up with all sorts of ways to print out the recipes and on some of them, I just give up [I truly am computer literate], and some you have to try to write it all down while watching a video. Your recipes are always so wonderful, so I welcome the big print button!!! The recipe sounds great, but I do not like the flavor of almonds. If I leave out the almond paste would I need to add more sugar to the recipe? Can i substitute almond extract for almond paste. If so, how much? Hi Larissa, great question. You cannot do a straight substitution. Almond paste has almonds and sugar in it. I suggest finding a standard pound cake recipe and subbing out the vanilla with almond extract. You’ll probably need half as much almond extract as the amount of vanilla a pound cake recipe calls for. What exactly is Almond paste, and can I just use grated almonds? Thanks. Hi Becki, almond paste comes in a tube and you can find it in the bakery section of your grocery store. You cannot substitute grated almonds for almond paste. This, is an awesome pound cake. I made it to take for fellowship coffee at church and I had RAVE reviews. I’m making it again today for my sons birthday cake. So smooth textured and flavorful, what a delightful flavor the orange glaze adds to it. I’m so glad you like it Delphina! I am wondering if I can make mini loaves using this recipe. How do I store the leftover almond paste? Also, what is the best way to measure the almond paste? Hi Ellen, you can wrap it in plastic wrap a few times and then freeze it. To measure, it comes in a package that indicates weight. Based on the package weight, I would cut it, and just eyeball the measurement if you don’t have a scale. My grandmother made a lemon pound cake with this glaze when I was growing up and it was my favorite! This glaze is also amazing on apple cake! … Not sure if you have baked with almond paste or not, but next time I make this, I will grate the paste before blending with the sugar. This is the suggestion on the Odense Almond Paste package, which I read after I was all done! The paste was a bit of a challenge for my hand mixer and I used my hand pastry mixer to break it up. … this cake is great the first day and even better the second day! Hi Beth, what a great idea! I’ve incorporated it into the recipe. Thank you! I have a fancy nordicware bundt pan. Will this recipe be enough batter to fill it? Hi Ellen, my last bundt pan cake recipe used 2 cups of flour. This recipe uses 1 1/2 cups, so I would say that yes, you could probably use it, though it won’t rise to the top of the pan.